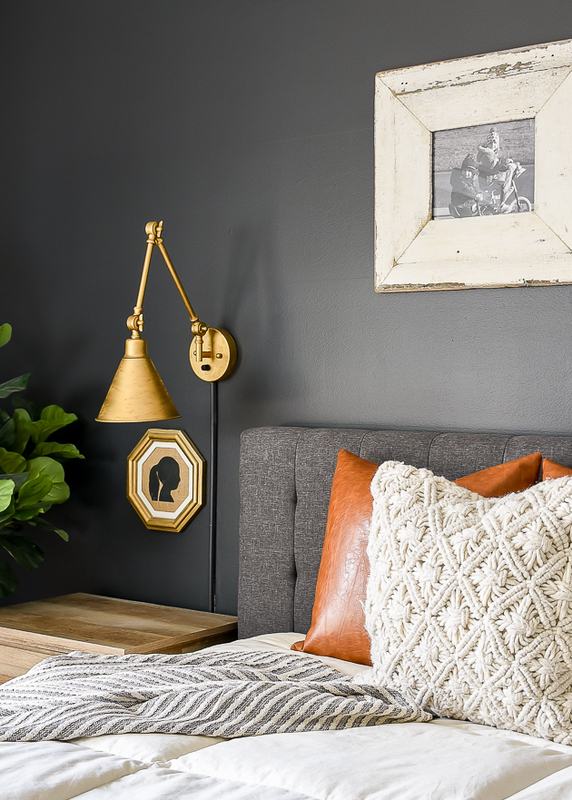 A dark and moody bedroom update with Sherwin-Williams Iron Ore! 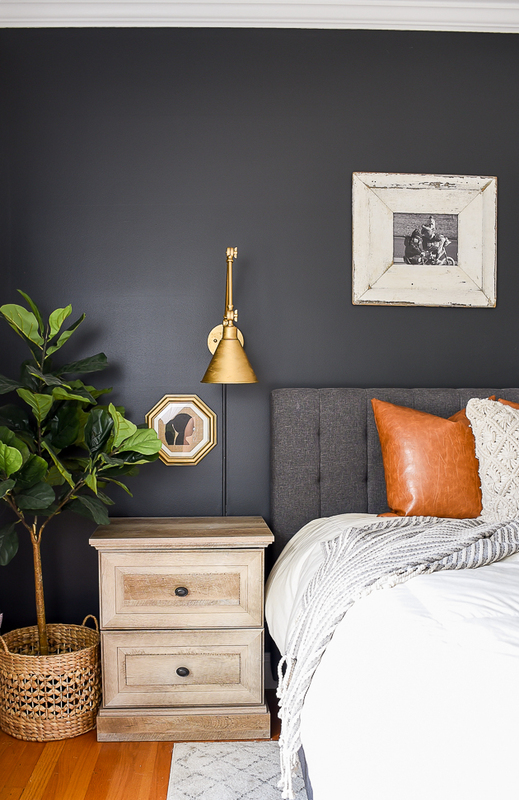 I'm no stranger to painting our doors, windows and walls dark, so it should be of no surprise that I went dark and moody in our master bedroom too. It's definetely moving in a slightly different direction than the mood board I shared, but I'm loving how this space is evolving. 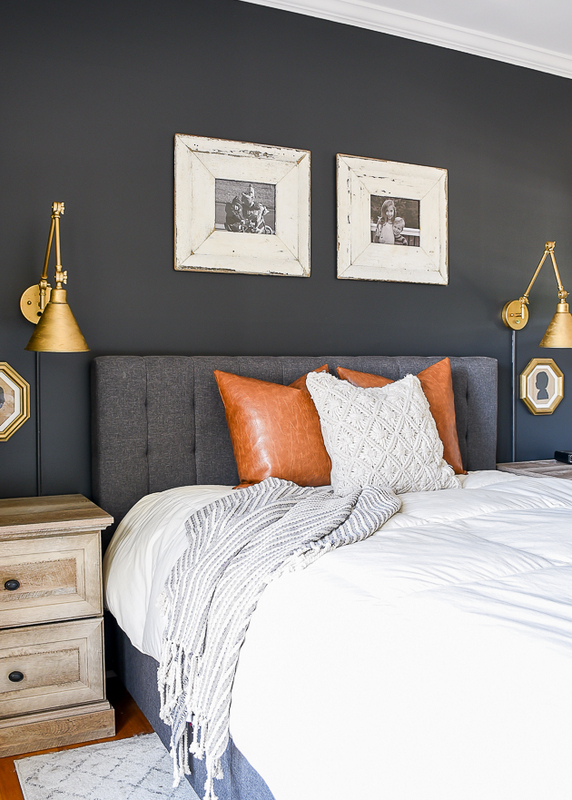 The last time I shared this space I had just put together the new bed, side tables and dresser and hung the bronze sconce lights. 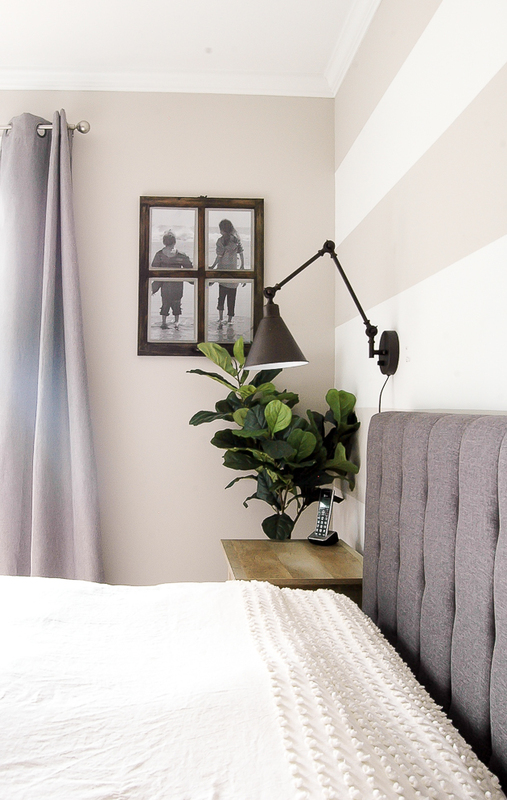 I really liked how everything looked, but the stripe wall just seemed a bit off for the space. I painted it a few years ago and I was ready for a change, a dark and moody, high contrast, Sherwin-Williams Iron Ore kind of change. As soon as I got the paint on the walls I knew right away going dark was worth the risk and the right choice for the space. 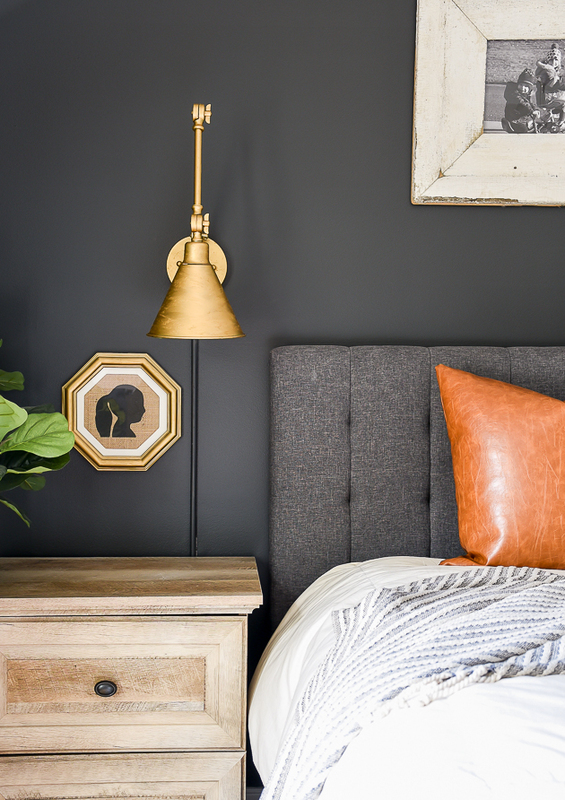 I wasn't sure how the dark headboard would work against the dark wall, but I'm really digging the tone on tone look. 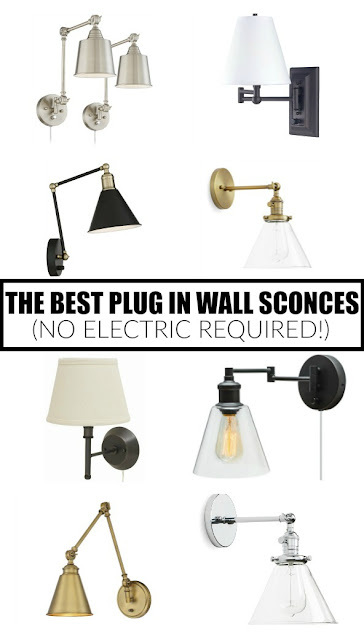 You may also notice that I updated the bronze sconce lights too. When I ordered them a few months ago I wasn't planning on painting the wall dark and they ended up completely blending in with the wall. In an effort to make them pop I gave each one a few light coats of gold spray paint and Gold Leaf Rub 'n Buff. Once I got the lights hung I painted a Cordmate Cord Channel the same color as the wall to tidy up the unruly light cords. I still have a bit to do in the bedroom, but I'm loving the contrast the dark wall adds to the space. What do you think? 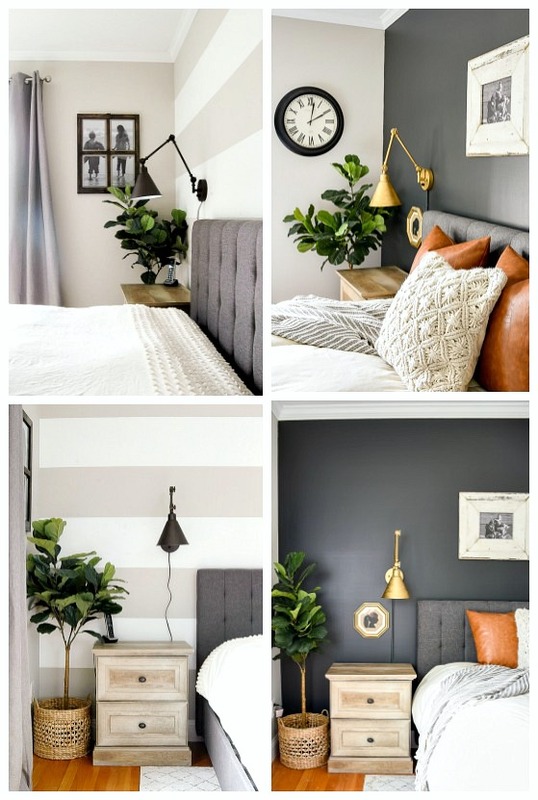 Do you prefer the look of the striped wall and bronze lamps or dark wall and brass lamps? Too funny! At least it's easy on the wallet, lol! Love it this way. 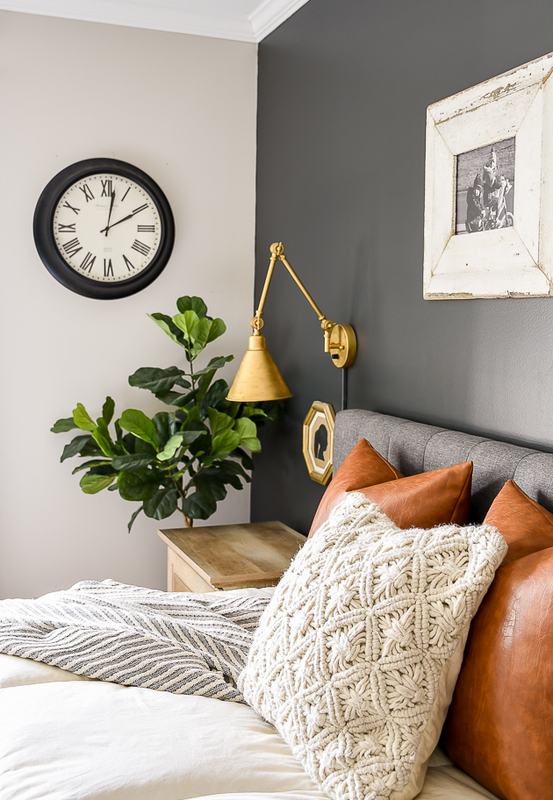 But, I also have to say, I like it as an accent wall. 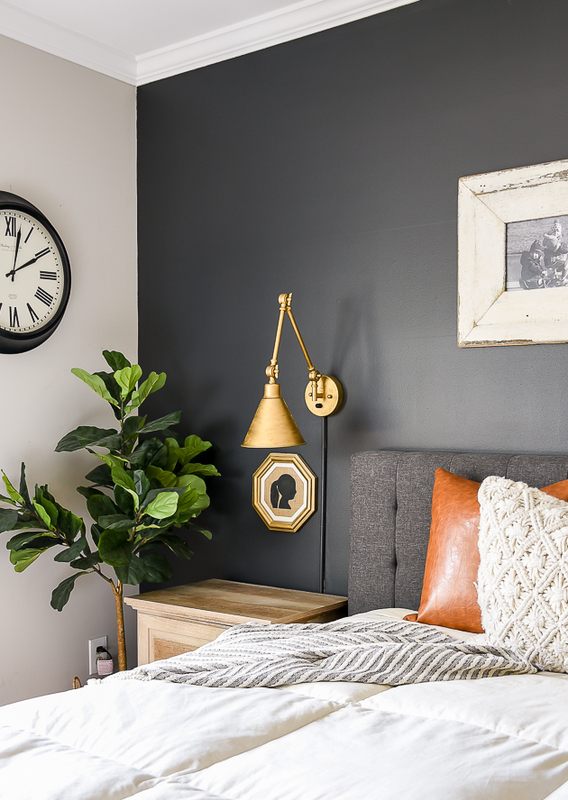 Do you think it might be dark with all the walls that color? Maybe not, I guess we will see! Great job so far!! I LOVE THIS! It adds such character. And those pillows are everything. Great job. It was pretty before, but its stunning now! 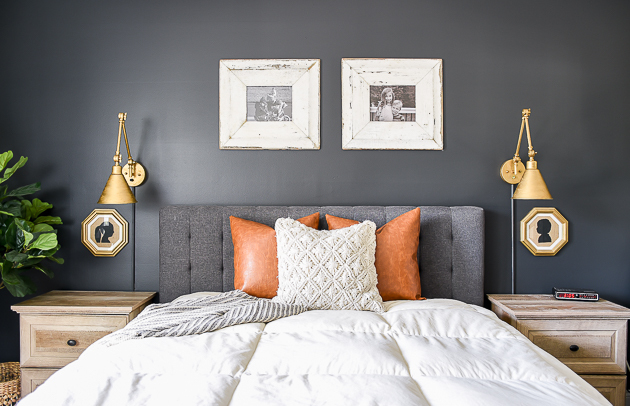 Loving the perfect shade of grey, the headboard against it, and the gold with it! 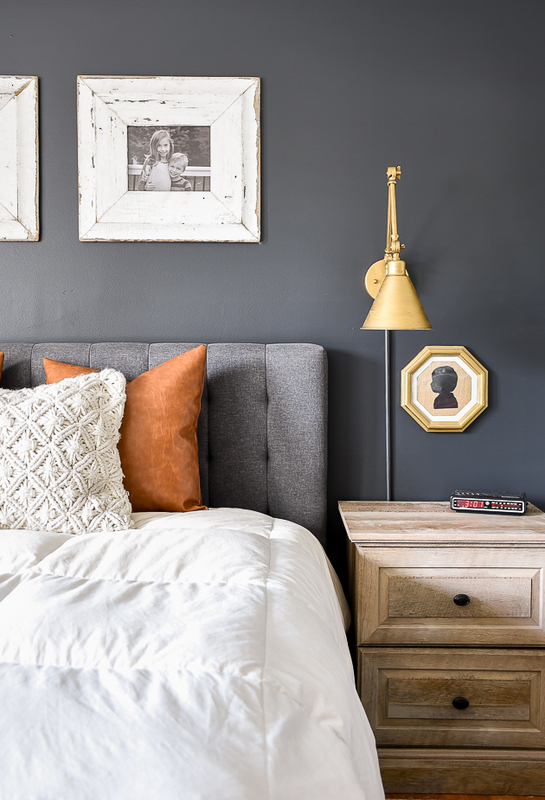 Have you considered giving the nightstand knobs the same (gold) treatment as the lights? Thank you for sharing this along with all the details and links for products and colors. Thanks so much Dena! I have thought about it, but I like the contrast of the dark knobs against the light wood. You never know though, nothing is safe in our house, ha! I love the dark paint!!! 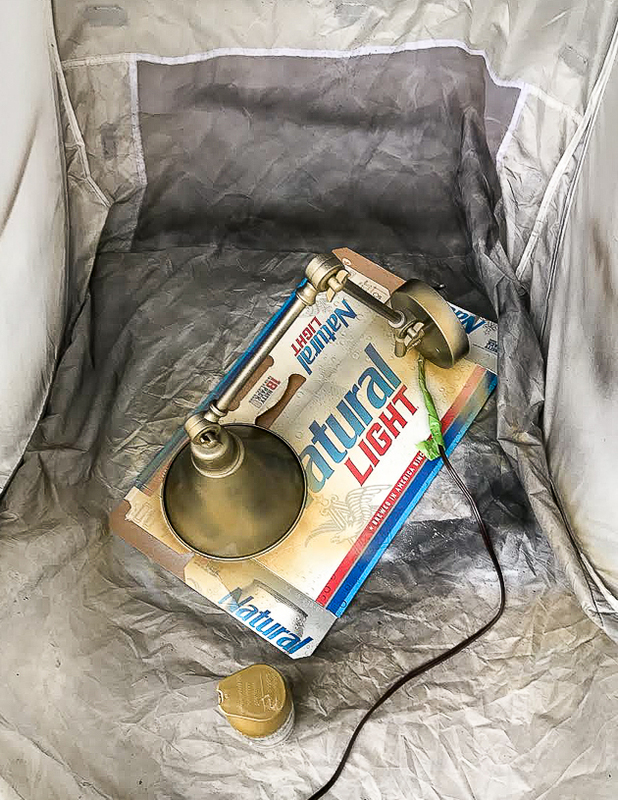 Natural Light - reminds me of my college days. The room looks amazing! ABSOLUTELY love the dark color! 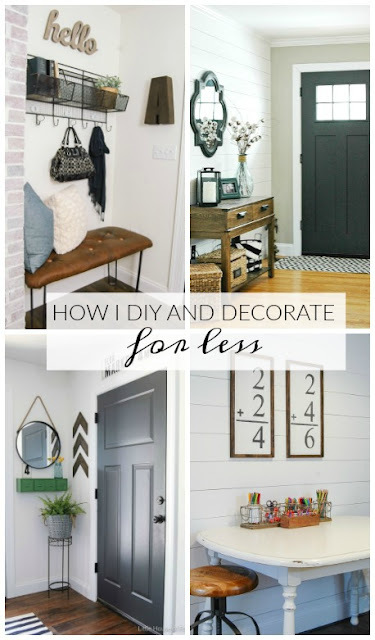 What is the light grey color on the other walls? I am having trouble with my greys looking light blue.